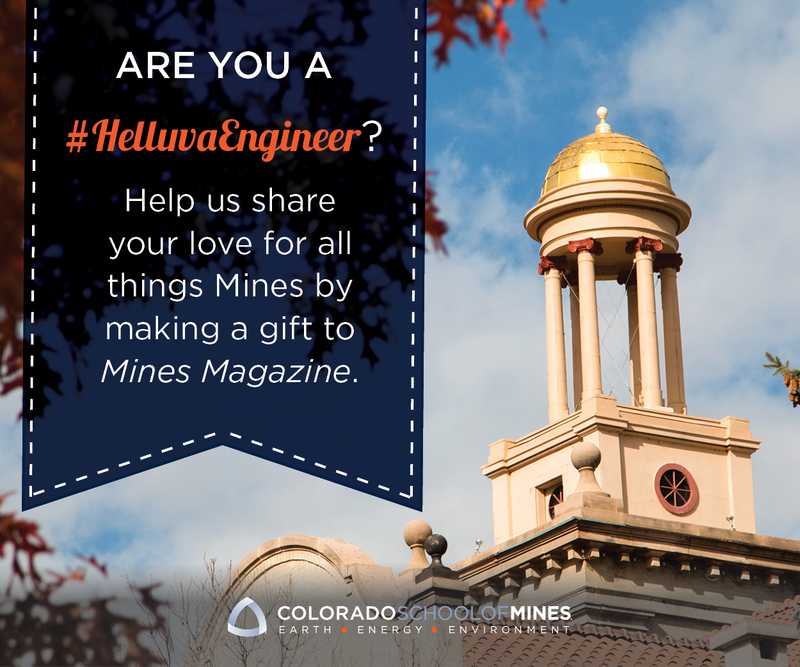 Every year a small number of Mines’ faculty are recognized by the Colorado School of Mines Alumni Association for outstanding teaching at the undergraduate level over an extended period. This year’s awards, announced during the spring Faculty Forum (where a number of other faculty honors and promotions are awarded) and consisting of a plaque and a $2,500 check, went to Sandra Woodson and John Humphrey. Sandra Woodson, a teaching professor in the Division of Liberal Arts and International Studies, joined Mines in 2000 after receiving her Master of Fine Arts in Creative Writing from the University of Montana (1998) and a Master of Arts in Philosophy from Colorado State University (1999). Since then, Sandy has positively impacted the education of thousands of students with her superior undergraduate teaching. For more than a decade, she has delivered the theoretical foundations lectures for Nature and Human Values, where she is always a favorite teacher. Many of the students in her upper division classes take her courses because of her lectures in LAIS 100, and some go on to take every course she offers. Her ethics and philosophy courses challenge students to tackle big questions about how they will live their lives. This isn’t the first time Sandy’s teaching has been recognized: She received both the Alumni Distinguished Faculty Award and the Order of Omega teaching award. Sandy has also played a critical role within her division as LAIS undergraduate advisor. John Humphrey, an associate professor in the Department of Geology and Geological Engineering, received his doctorate from Brown University in 1987. Since arriving at Mines in 1991, John has taught a wide range of classes to a wide range of audiences and has consistently received outstanding ratings. According to one colleague, the starting point for John’s approach to teaching is a deep and thorough knowledge of the material, including the most basic scientific foundations of that subject, as well as the most recent contributions from the scientific literature.” While maintaining a high standard for instruction in all his classes, John also served as head of his department 2006-2013.